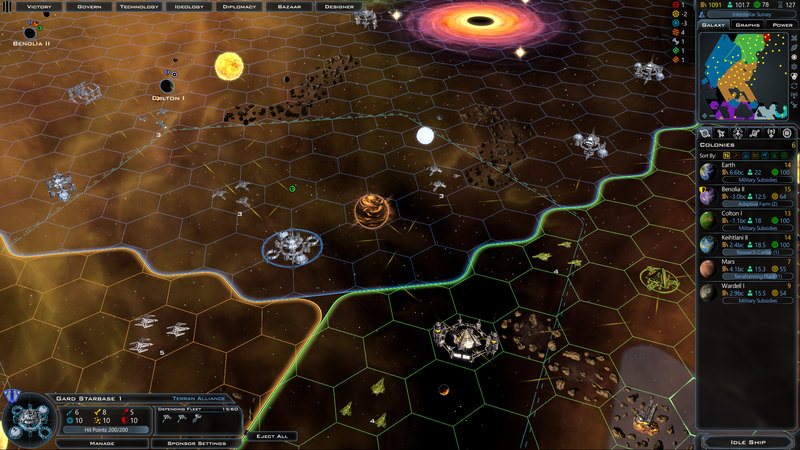 Massive Starbase Update for GalCiv III is now available! Too many Starbases, not enough time? No problem. 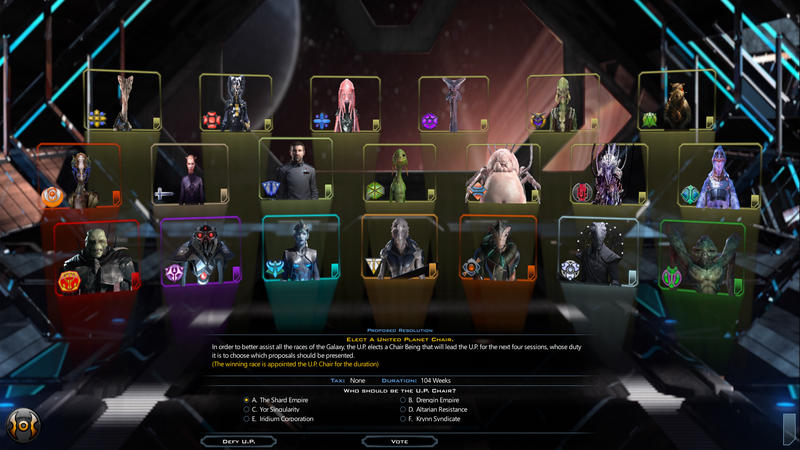 GalCiv III v1.7 Brings Starbase update to solve all your management problems! The new "Battle Assessment" feature allows you to hover your mouse over an enemy fleet to see an estimation of your fleet's victory against them. The update to diplomacy has made it so that your allies are more likely to give you a good deal on trades! Trade value will now scale based on the game's difficulty setting and your relationship with other factions. The new "Planetary Alert System" will warn you when your influence, population, or approval are holding your colony back. To check out the full list of changes for v1.7, see the official change log below. For more information about Galactic Civilizations III, please visit www.galciv3.com. 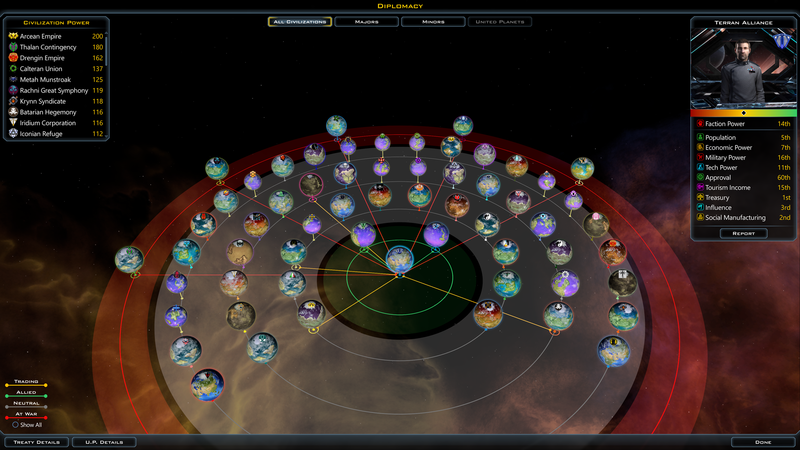 Starbases can now queue multiple upgrade modules directly from Shipyards. Once built, Constructor modules automatically travel to the Starbase and upgrade it. Starbases have Shipyard sponsors. As modules are added to the Starbase queue, Constructors are added to the Shipyard's queue that can deliver the module in the shortest amount of time. By default, all Shipyards sponsor all Starbases. This can be changed on the "Sponsor" screen. Starbases can handle constructors with multiple modules. Players can choose what Constructor blueprints to use on the "Sponsor" screen. Selecting a Starbase on the Galaxy map will draw connection lines to the Starbase's sponsor Shipyards. Queued Constructors are treated the same as other Constructors while en route. Diverted, destroyed, or traded Constructors will be re-queued automatically. 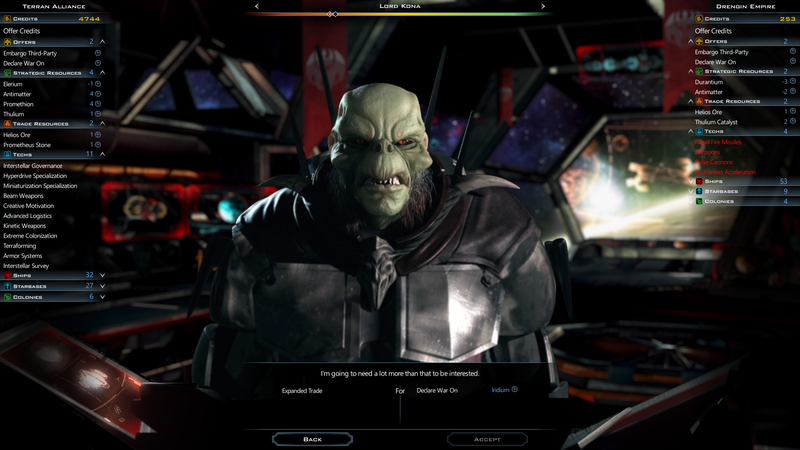 Players can enable Starbases to automatically order available upgrade modules. The Shipyard manufacturing queue displays the Constructor's destination and upgrade module type. Starbases can still be upgraded by manually built Constructors and specific Mercenaries. Queued Constructors have a custom ship design for each faction. Added maintenance cost to all starbase modules for all difficulty levels except beginner and normal difficulties. Ships are organized by type and role. New sorting options: size, attack, version and resource cost. You can add ships to a "favorites" list that is saved when you exit the Ship List screen. These "favorites" available even if you start a new game. Added reverse sorting to the ship design list. Newly designed ships (including auto-upgraded ones) are marked as "new" so they are easy to find. Added more detailed Starbase statistics. Modules and their effects are now both visible simultaneously on the main screen. Added a build queue for ordering new modules. Build queue items include an estimated time of arrival. Added a Sponsor screen to manage what Starbases are building Constructors for that particular Starbase. By default, all Shipyards are sponsoring each Starbase. Sponsor screen has a "Set as default Constructor" option which makes the currently selected Constructor the new default Constructor for future Starbases. Hovering over an enemy fleet displays an estimation of whether or not your currently selected fleet will be victorious. This same information is displayed prior to starting a battle. Added Shipyard auto-idle function that replaces the old "shutdown". If the Automatic Idle checkbox is selected, the Shipyard will shutdown if it has no ships to produce. Adding a ship will automatically resume production. Added alerts added to influence, population, and approval statistics if one of these attributes is at risk. The Alert tooltip includes information on how to address the problem. We have improved the balance of the diplomacy system to make it more fun and less exploitable. Item trade costs are adjusted based on relations and difficulty. Culture treaties can no longer be stacked with same faction. Added Diplomatic Office and Diplomatic Outpost Starbase modules. Updated AI Strategies and Diplomatic Modifiers to better balance AI aggressiveness. Lowered cost of Celestial Tourism for Krynn to be closer to the average cost. Ship component mass now scales based on the ship's hull size. Sensors now have a "sensor power" statistic that controls the area scanned. Sensor power has a diminishing returns effect on overall sensor range. Sensor tooltips provide additional feedback on this new system. Increased the Sensor Power of higher level Ship Components and Starbase Modules. 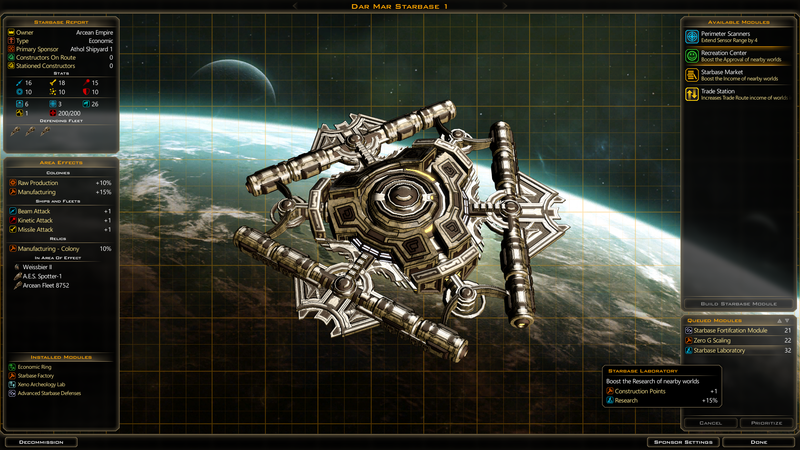 Limited some ship components to be one player, including the Bane and special Precursor components. The Scout ideological Event now uses Sensor % bonus instead of a flat range bonus. Added "eject all" button for stationed ships in a shipyard, starbase, or planet. You can now (again) choose Medium UI scale for 1920x1080 screens. The content of the Mined Resources tooltip will no longer escape its frame. Created a new Sensor Range tooltip that shows the Sensor Power, what is affecting the Sensor Power, and how much Sensor Power is required to upgrade the Sensor Range. The "Saving Game... Please Wait.." message should no longer get stuck on the screen. Fix stretching artifact in the up and down combo box arrows. Updated the Ship Designer's resource bar to be vertical to match the strategic map and shipyard. This will also address problems with text in that control from being clipped. The "now building" text now correctly shows the build module for starbase modules in the shipyard context area, the shipyard tooltip, and the shipyard list item in the main game Shipyards list on the right side. MP: The "Mega Events" listbox is disabled as Mega Events are not allowed in MP. MP: Human players now always appear on top in the lobby, whether they are ready, pending, or unclaimed (for restored games). Fixed a crash when attempting to loading an old save game pre-Mercenaries and then using the fog-of-war cheat after buying Mercenaries. Mercenary ships can no longer be upgraded by stationing them in planets, shipyards, or starbases. Fixed lighting issues in the Yor faction leader animation. Fixing a CTD caused by destroying planets. Updated the campaigns with text fixes. Fixed issue with Gravity Field Generator star base module that was speeding up enemy ships rather than slowing them. Fixed bad data on the Precursor Satellite world that was causing the associated events to not work as intended. Fixed numerous crashes on game exit. Interceptor fighters will no longer appear in the Shipyard List. Disabled Colonizing event on the Iconian secondary world to so that the Iconian's system is consistent with other faction starting systems. Fixed a case that would cause the starting Battle Viewer camera to be pointing in the wrong direction. A faction's power will no longer wrap to zero if the ship power ratings were too high. This was causing really powerful factions to surrender. Fixed a problem with Mods with custom ship styles that were causing an infinite loop and crash. Fixed a stuck turn when a command tells a ship to eject to the shipyard it's being built at. Fixed an issue where a shipyard can station too many ships. This was the source of multiple problems including crashes and odd gameplay behaviors (e.g. 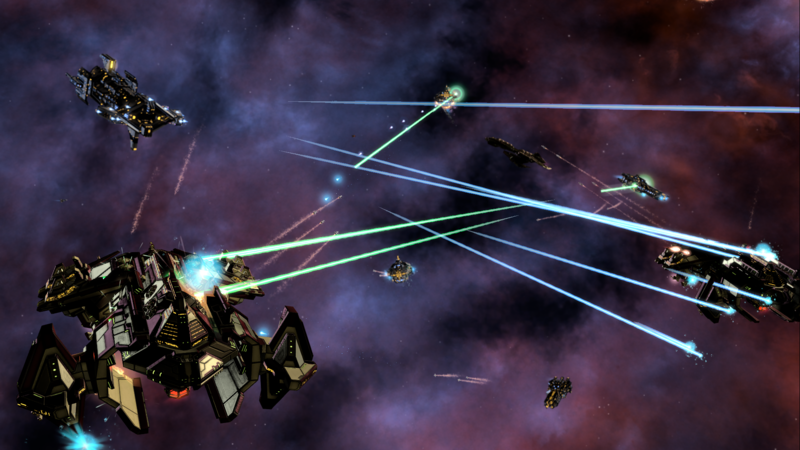 creating stacks of mixed player ships and enemies). Fixed an infinite loop when there are no Shipyards in the empire that can supply module orders. Fixed stale battle log data that was causing fighters to be incorrectly spawning either in the battle viewer or on the game map. Fixed planets that were turning invisible after fighting off an invasion. If a ship joins a fleet on "Guard", the fleet will stay on on "Guard"
I'm looking for the list that includes the opt-in updates. Version 1.7 has had several opt-in updates-- there must be 5 or 6 by now. I know I saw that list once upon a time but, for the life of me, I can't find it now. I've searched Stardock, Steam and the GalCiv3 forums to no avail. This is the complete list of 1.7. There were 3 opt-in's in total prior to the release of 1.7. There are no opt-in's currently available being this is a full release of 1.7. We are working on a new XP system, once we are happy with it, we will be bring back ship levels. Don't want to promise when yet. But it is on the top of our list, after fixing some outstanding diplomacy issues. Where can I find the opt-in updates list? The opt-in notes have been renamed to "1.7 release" as the patch is now live. I hope by "will be bring back ship levels" you actually mean the ship captain experience system you have talked about on several streams. It just sounded so much better than the old GC2 ship exp method. Not just levels but also give the ability to gain new abilities as we level up.